A synopsis of an interview with Jim Rickards, New York Times bestselling author of The Death of Money and Currency Wars, by Bloomberg Business. Jim is the Chief Global Strategist for West Shore Funds, former general counsel for Long Term Capital Management, and a consultant to the US Intelligence community and the US Department of Defense. The Fed’s been trying Mick Jagger-nomics; “You can’t always get what you want”. The Fed wants inflation but they can’t get it. Ben Bernanke told Jim recently in Korea that QE was an experiment. It was a failed experiment because to get inflation you need velocity (you need people to spend and not save or pay debts), and that’s psychological. The Fed has a 2% inflation target because they want to steal money from savers and give it to bankers. That 2% sounds tame, but it cuts the value of the dollar in half in thirty five years, and half again in another thirty five years. So it’s a 75% devaluation over a lifetime. It steals from anyone who saves or has a fixed income, like retirees, and it enriches bankers and debtors because it reduces the value of the money they owe. The Fed should instead be targeting zero and then they should just get out of the way. For monetary stability they should be targeting zero interest rates, don’t fight the currency wars and don’t try to micro-manage the economy. The Minneapolis Fed President, Marayana Kocherlakota, just said publicly that the Fed was nervous about ever exceeding their 2% inflation target, and that they’re treating the 2% as a ceiling. But Jim has been told by a Fed president privately that they wouldn’t mind seeing 3.5% inflation. They have to get inflation or else they can’t pay off their debt. They have to devalue their debt. They want to do it slowly — like a kid seeing $50 in their mom’s wallet and thinking she won’t notice if they only take $2. If the Fed promises 2% inflation and delivers 2% then there’s no change in expectations (so no change in velocity). So what they have to do is lie to you. They have to promise you 2% and deliver 3%. Now it’s a shock and you think, “Oh gee…I better go buy a car or a house now.” That’s how the game is played. Many central banks have an inflation mandate, but in 1978 Hubert Humphrey co-sponsored the Humphrey-Hawkins Act so the US central bank now has a dual mandate (price stability and full employment). But from 1913 to 1978 the Fed had a single mandate, and the European Central Bank has a single mandate. When you say you have an unemployment goal then you have to micro-manage the whole economy to create jobs. The Fed can’t create jobs — entrepreneurs create jobs — but they think they can create jobs. So what it does is give them a mandate to be a central planner for the whole economy. If they raise interest rates in September, which Jim doesn’t think they will do, then it will be a historical blunder which will cause an emerging markets crisis. The stock market discounts the blunder — if it looks like they’re going to raise rates then the market crashes. The Fed comes out and says, “Not so fast”, and then the market goes up. So the stock market is up or down depending on whether they think Yellen will raise rates or not. But if the Fed doesn’t raise rates they might lose credibility. So they either lose credibility or they create a catastrophy. That’s what happens when you manipulate the market for six years — you paint yourself in a corner and can’t escape the room. They should have raised rates in 2010 because there was plenty of cash. @mattricks99 Save. First in cash; then when you have more, put about 10% in gold or silver. Gold is $1,133 US per ounce. All is well. It’s pouring rain today. 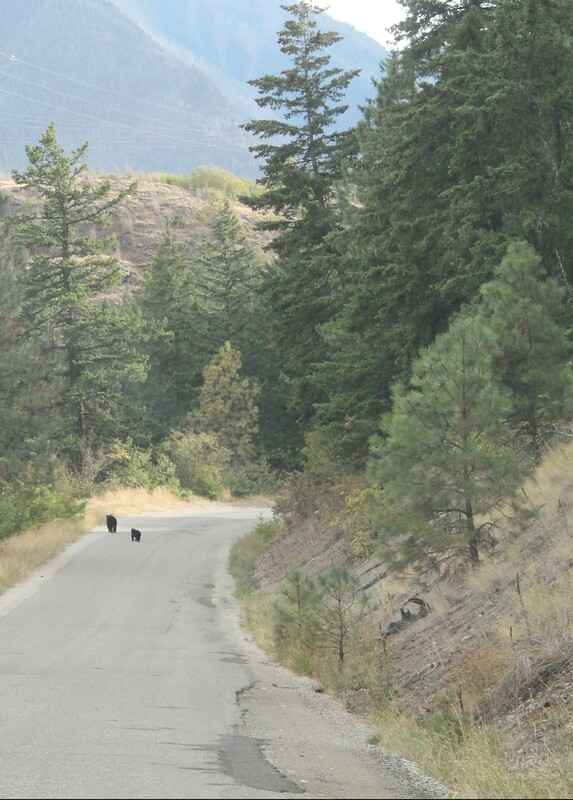 Mamma bear and baby bear casually crossed the road near my home yesterday. It’s scales and modes on the guitar, and Mick Jagger on the turntable. Blowtorch is up and running. Preparing for the Fall album is available on iTunes — featuring Wag the Dog, Black Swan Dive, American Pie and Gods of the Copybook Headings. © Intelligentsia Media Inc. All rights reserved.